Monsoon is here, and guess what, the tuberoses in my garden are blooming. And if you have visited this blog previously, and have by any chance read some of my previous posts, particularly, those about the tuberoses, you will know for sure that tuberoses are amongst one of my favourite flowering plants in my garden, even though, they bloom once a year, just for a month, and they lay dormant in the pots for the rest of the eleven months, thereby covering up the precious space, and the limited resources - the soil, water, and sun, but this one month of blooms is what makes me keep these alive for the entire year, just for those couple of sticks of white heavily fragrant blooms, that can make up anyone's evening stroll in the garden, an exceptionally fragrant experience. That said, as with all the plants, tuberoses too need some level of care, even though these are among the plants that need the least care and will still give you a very good outcome. What tuberoses need is not much of hard work, but just a little care. Since these are bulbous plants, tuberoses tend to multiply exceptionally fast. 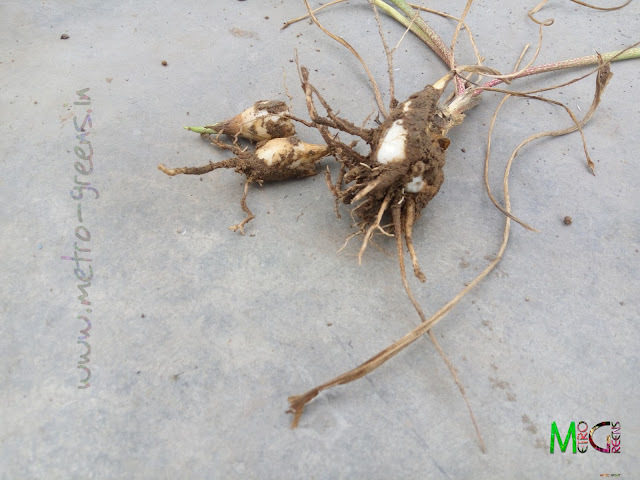 I have a strong belief that if I get a single tuberose bulb, and sow in a small piece of land, tuberoses can very well take over the entire piece of land in just two years. Such extraordinary is it's propagation ability. Now since I have very limited space on my rooftop, that too is being shared by a number of other plants, I have containers, pots, and a number of grow bags to house my plants in, which means that I have to be on my toes all the time to get rid of plants that have died, or do something about those which have overgrown their container. And, when it comes to tuberoses, as I have already told you, they multiply very fast, and thus, a pot that I plant a tuberose bulb in, will be full of numerous tuberoses by the end of a year, and hence I have to make sure that I get rid of the numerous small bulbs to let a few stronger ones grow better, and this was what this blogpost is all about. This year around, being fed up with numerous pots and grow bags with small tuberose plants, further aggravated by the fact that last blooming season, all I got was just one tuberose stick blooming, which meant there was a lot wrong with the way I was handling them. The tuberoses multiplied very fast and congested the limited space of the pot or the grow bag within no time, and when congested in limited space and resources, all my tuberose plants had been showing stunted growth, even when I was supplying them with enough nutrients in the form of vermi compost. This time around, while the winter was fast diminishing and the temperature started increasing, I decided it was time to sow the tuberoses again, and this is how it's done. 1. 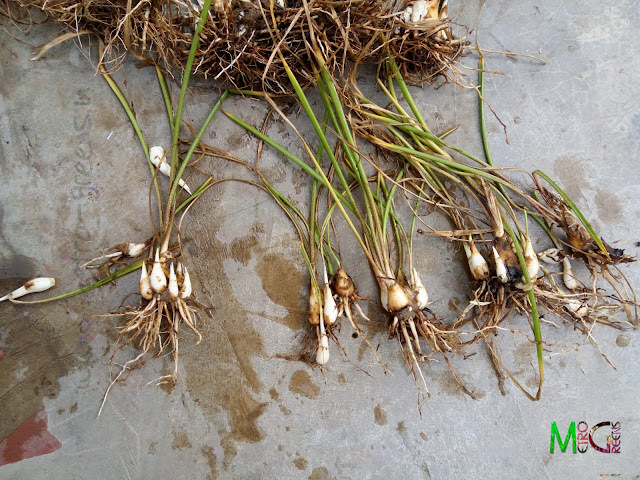 Start by identifying the containers with a dense growth of tuberoses. a dense growth in a limited space means that gradually your plants will be smaller, and the flowers will also be smaller than expected. The uprooting and re-planting is normally done after the danger of frost has passed by. 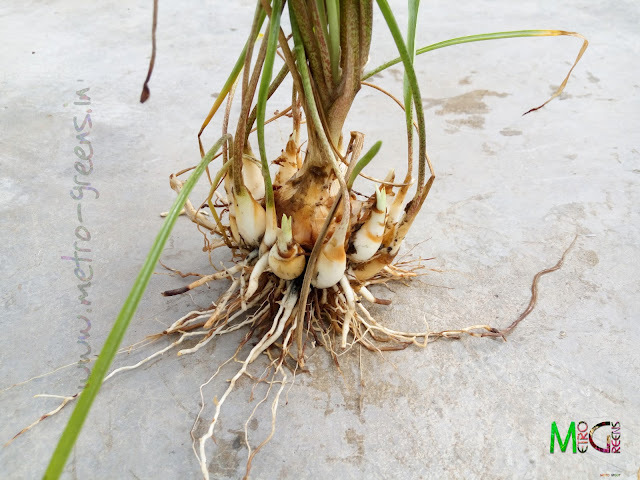 Since tuberoses bloom around monsoon, it is relatively safer to uproot them right after they finish blooming, however, since the winter season follows monsoon, it's good that you let the plants go through the winter, the way they are. 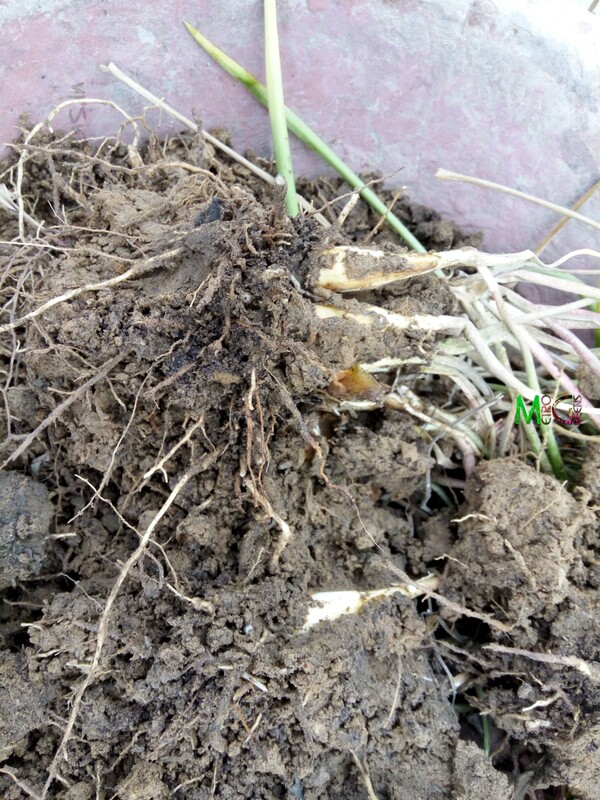 Also, there are sometimes when tuberoses are seen to be blooming in the peak winter months, so, that is also one reason why I am suggesting the uprooting to be done after the winter season is over. 2. Let the containers dry for a couple of days. 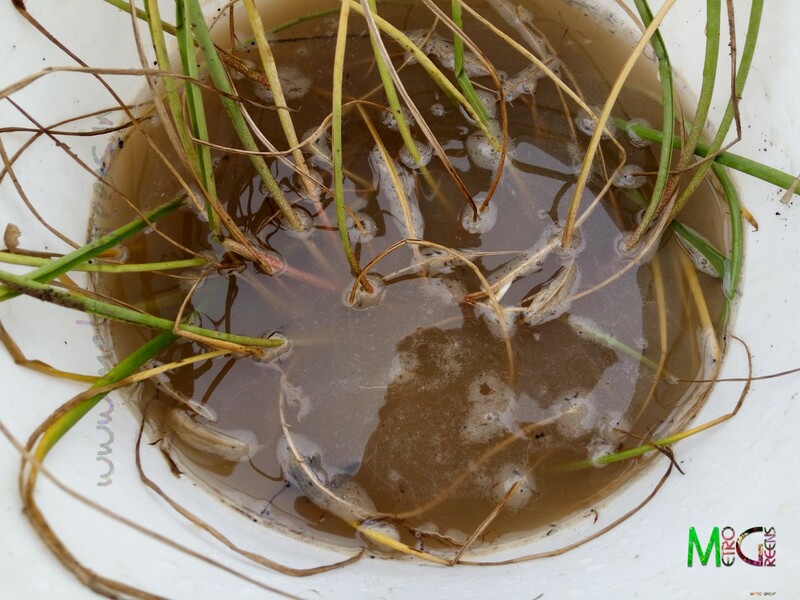 Now there's no definite number of days I would suggest you do not water the containers, since, this entirely depends on the weather conditions in your area. This will ensure that no new growth takes place, since after uprooting, most of these will die. 3. 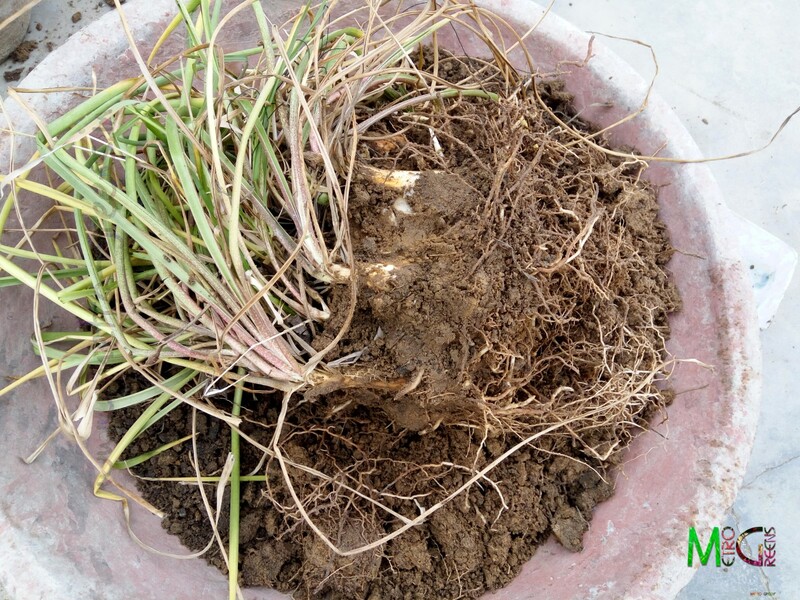 Now carefully start digging the soil in the container, taking care that you don't damage the bulbs. And, don't worry, even if you do happen to damage a few, you still have a lot of them, but still, try to do this carefully. 4. Once out, you will most probably see something like the above image. Roots of the plants tend to create a nest like structure around the soil, taking shape of the vessel, since they don't get a way to expand further. 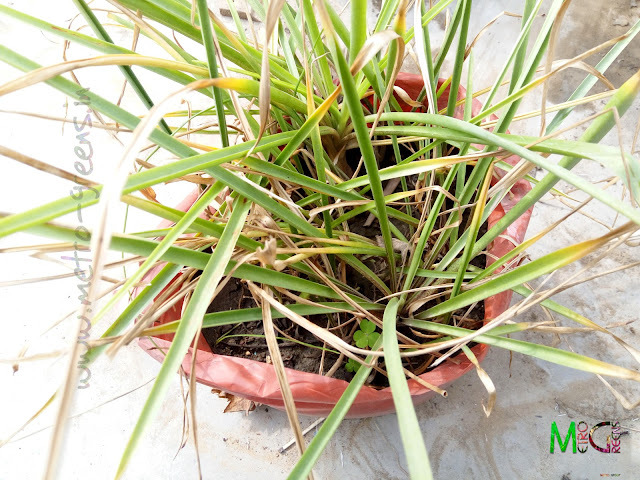 This is also a reason for the stunted growth of the plants in containers. 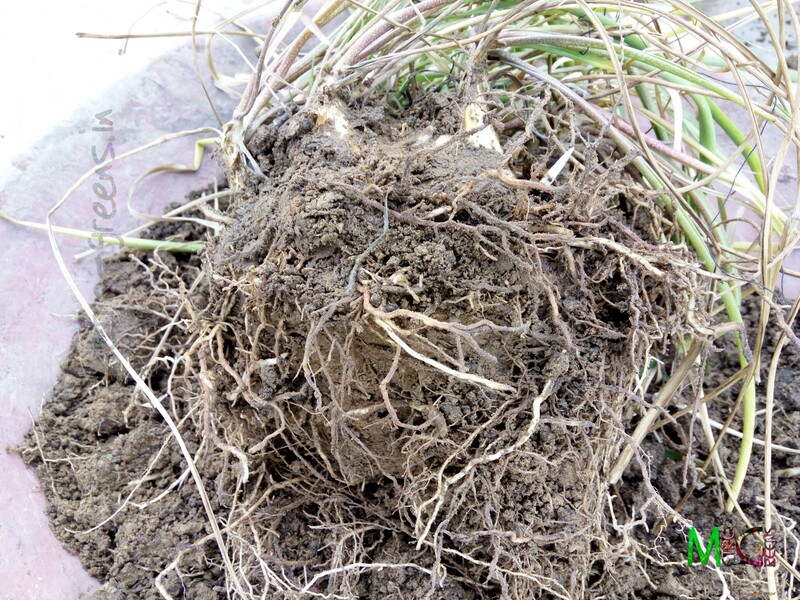 So, I really suggest people who have container gardens to try and remove roots of their old plants, once in every two to three years, however this needs to be done with caution, as there's a huge risk of killing the plant. 5. Carefully remove the soil from the bulbs, you can take help of your gardening tools, though, I prefer doing this with my bare hands. This way, there's a less chance of damage to the bulbs. You can also use a stream of water to get rid of the soil. 6. Once cleaned, you will have something like the image above. You can now see how tuberoses propagate, and this is something extraordinary. 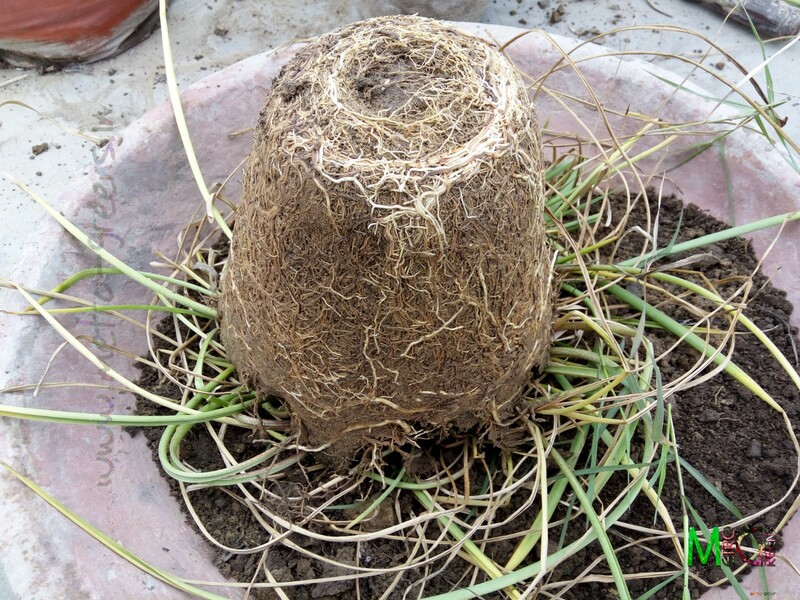 One mother bulb gives rise to so many daughter bulbs, which, again will propagate to become more bulbs. 7. Once you've got everything out of soil, it's time to choose. Most medium to large sized bulbs are good enough to be sown. the smaller bulbs, once separated from the mother plant will die, so you have to take a decision in this. you can choose to give those away to a neighbour, and help spread the tuberose fragrance around your home. 8. Once you have separated the medium to large bulbs, you can let them dry for a couple of more days before sowing them again in the soil. This way, you will have a new and fresh crop of tuberoses. 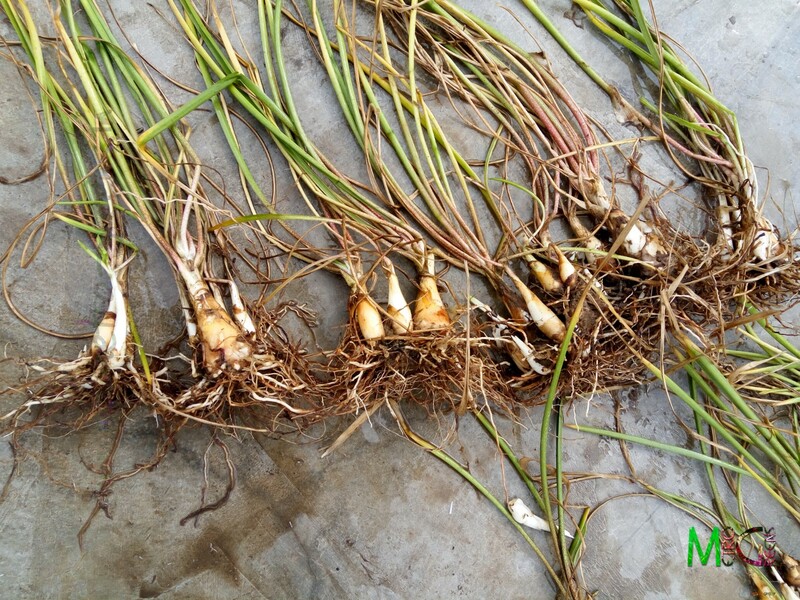 For a good growth well before the blooming season, I suggest this operation to be done atleast four to six months before the expected blooming season of tuberoses in the kind of weather and soil conditions in your area. If you are not sure about this, you can try taking a look at the gift shops and vendors selling flower bouquets, and this will give you a rough idea about the blooming season of most seasonal flowers, tuberoses being one of those. 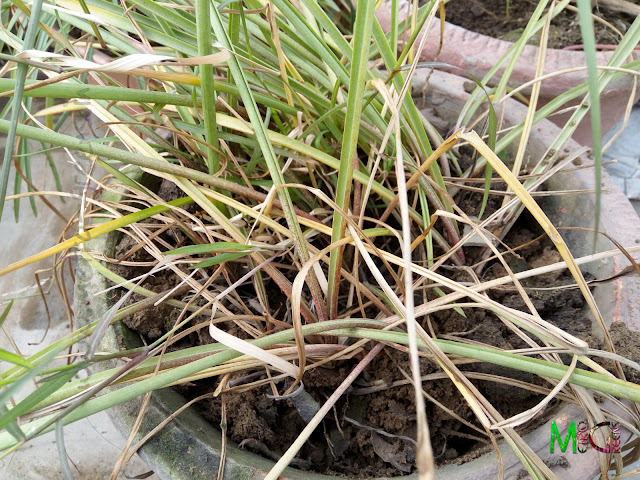 I being an emotionally fool gardener, didn't want to let even the small bulbs die and so, after removing couple of those I had to plant separately, I dumped them all in another bag full of soil, and within a fortnight, I had the bag full of lush green leaf spikes. Since this is monsoon season, and I have the tuberoses blooming, yes, even the newer ones, of the single and double blooming variety are blooming, so, the upcoming post, in the next will be all about these blooming tuberoses. Till then, HAPPY GARDENING! One of my favorites, too! I wish they multiplied like that here but since we only get about three months of hot weather here they can be slow. That's bad, but then everyone can't get everything. :) There are a lot of things exclusive to your region, and then there are some things that are exclusive to my region, and thus region's specialities come up. :D and by the way, thanks for stopping by. Great post. Want to know if I cut the stick off from the plant will a new stick grow in its place again? Sorry, tuberoses don't work that way. 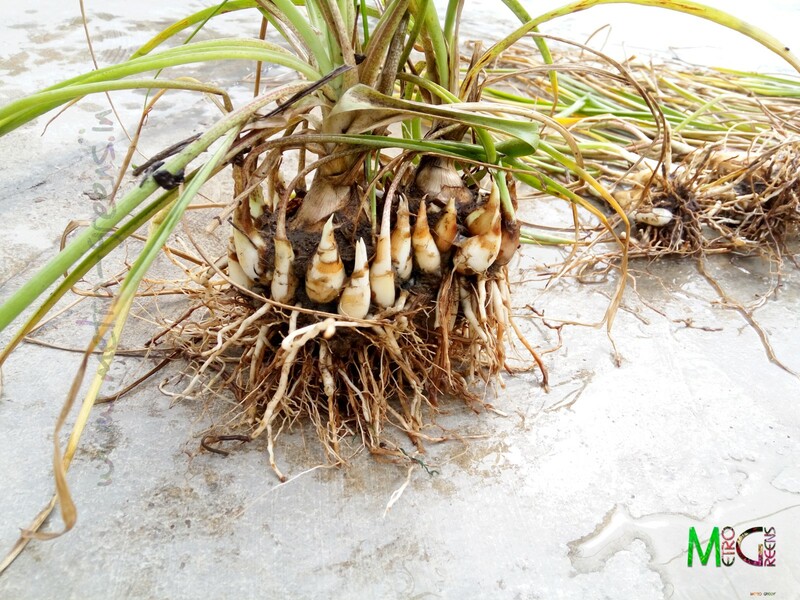 They multiply in the roots, giving birth to new bulbs while they grow. That's the reason they make for beautiful cut flowers. The stems can be cut away once the buds develop properly, and can be placed in bunches in a glass vase full of water, and then the blooms can be enjoyed over a period of days.